Sumble Manzoor is a litigation associate with Corey, Luzaich, de Ghetaldi & Riddle LLP. Ms. Manzoor devotes her practice to representing clients in a variety of civil litigation matters including complex and mass torts, business, personal injury, employment and trusts and estates litigation. As a part of her employment law practice, Ms. Manzoor also counsels businesses in all aspects of labor and employment law compliance. In recent years, Ms. Manzoor’s experience has included representing hundreds of wildfire victims against Pacific Gas & Electric Company following the devastating Butte, Northern California and Camp Fires. Ms. Manzoor earned her B.A. in Economics and Spanish Translation from Rutgers University, New Brunswick. She graduated from Temple University Beasley School of Law where she served on the editorial board of the Temple Political and Civil Rights Law Review. 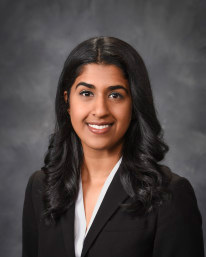 During law school, Ms. Manzoor worked as a judicial extern for the United States Equal Employment Opportunity Commission and was recognized as a Rubin Public Interest Law Honor Society Fellow for her work with the Volunteer Income Tax Assistance Program. Prior to joining the firm, Ms. Manzoor worked in the United States Bankruptcy Court, Northern District of California.